What is Disability Insurance? | How can it help you protect your income? Disability Insurance is designed to protect your income, and therefore your lifestyle today or in the distant future too, in case of any unforeseen circumstances that cause you to be unable to work. Disability insurance is very important nowadays for businesses and organizations because future is uncertain. You never know what is going to happen in the next minute. So, protect your assets through Disability Insurance. However, before applying for a disability insurance, make sure policy covers all your expenses in case of a disability. Who Decides Whether I’m Disabled? Disability Examiners can decide whether you are a disabled person. A simpler definition says that a disabled person is one whose physical or mental inability hinders in the proper functioning of one or more life activities. Disability insurance provides a stipend to the physically or mentally impaired people under the disability policy. Disability Insurance can either be short term or Long term. Short-term disability insurance has a lifespan of between 30 days to 24 months, partial disability is covered through Short-term disability insurance. Long-term disability insurance starts from anywhere between 6 months to retirement age. Some insurers provide lifetime policies in some cases. Long-term insurance policies cost more monthly deposit than STDs. For young employees, it is better to go for STD insurance plan than the long-term policy because it costs less than the long term. Disability insurance policies may be available as a benefit package from an employer. If you have a small business with two or three employees, you can also purchase disability insurance that would be full of benefits for you and others. Both short-term and long-term plans will start protecting you immediately after an accident without any waiting period and seven (7) days after an illness. The duration for short-term disability definition and length of payments is 90 days, and then any disability coverage needed after 90 days, a long-term disability insurance policy will take over paying for your lifestyle expenses. Most group plans cover normal maternity as any other illness and will pay benefits. However, there is a waiting period of 270 days after purchase and before being eligible for maternity benefit. Individual plans are available to purchase and will begin to pay after 14 or 30 days and would pay for 90 days, 180 days, one year, or two years. Even though, technically, short-term ends at the end of 90 days, the plans are designed for individuals who are seeking minimal protection. Signing up and paying for such a policy now will take your current income and health condition into consideration. The amount that you need to pay per month is determined based on several factors, and then, in case it is ever necessary to use the insurance policy, the policy will provide you with financial aid for up to two years based on the benefit package chosen. A disability is defined as the inability to perform your job due to injury and/or illness. Disability insurance provides monthly payouts when it is determined that you qualify to receive the benefits after an illness or an accident. Factors that determine the amount that you will be paid include factors specific to you, your health, your income and your work situation as well as the amount that you chose for coverage when purchasing the policy. Financial aid will continue under short-term and then long-term disability insurance for as long as you are deemed not being able to do your job, while being under a physician’s care and unable to work after being diagnosed as such. Some employers pay for or offer disability insurance, but it may not be what you personally need. 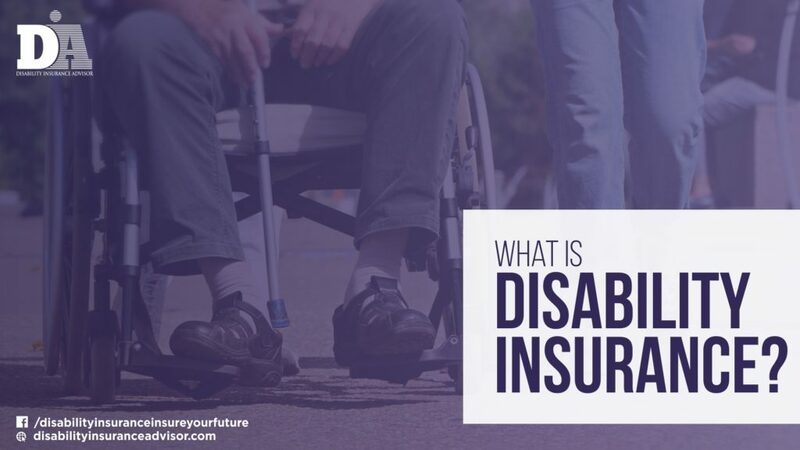 So, it’s recommended that you seek advice from an insurance adviser and broker knowledgeable about disability insurance policies available and that will look at your personal circumstances. You might benefit from investing in a supplemental disability insurance policy to fill in the huge gaps in group coverage. Disability insurance covers everything from a worker’s job to a white-collar executive job. Both the mental and physical disabilities are covered by insurance companies. Let’s suppose you met an accident, and you are seriously injured. You will receive nontaxable 60-70% of your income as a part of individual policy where as you would get 60% of your base pay and as taxable income when you have an employer paid group plan. If you were seriously hurt you may trigger Catastrophic Disability criteria. Under that scenario, you would need a caregiver for 10 hours a day to help you with bathing, eating and toileting etc. The minimum you have to is $15 per hour which means you have to pay to $150 a day, $4,500 a month and $54,000 a year. Catastrophic Disability insurance will cover all of these expenses for you until you come back to routine life. It all depends on the type of insurance plans you own. The Social Security and Supplemental Security Income disability programs are the largest of several Federal programs that provide assistance to people with disabilities (Source. U.S. Social Security Administration). Most commonly, SSD Insurance is somewhere between $500 to $2000 per month as of 2018. It is calculated on average lifetime earnings of citizens. SSDI pay varies for each recipient; the complex SSA formula is used to calculate earnings during disability period. What is the Process to Apply for a Disability Insurance? You can apply for a disability insurance through your employer, or apply online on the official website of the broker. Before applying, look for the best return rates. Compare quotes from all the insurance companies working in your area. A medical examination may be necessary as a part of applying for a disability insurance. Next, you will be asked for a phone interview by the company; your insurance broker will guide through the process. After the company’s underwriting is completed, your policy will be ready after all the essential steps, it will be delivered to you through a broker. Ready to Insure Your Future? Our experienced advisors are able to answer all of your questions and help you along the way. We can customize a Disability Insurance policy to meet all of your needs and help you achieve full financial protection. Call us at +1 (847) 917-4870 or fill out our brief Contact Form to be assisted by an advisor directly for a free consultation.